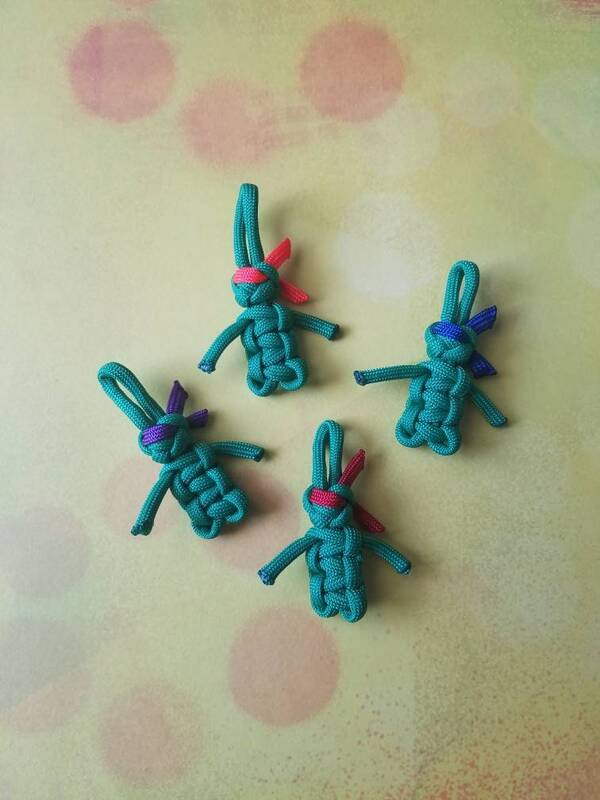 This listing is for all four paracord Teenage Mutant Ninja Turtles! Use them as keychains or as a charm on your purse or backpack. If you want the loop made longer just leave me a note and let me know how long. ** Etsy automatically combines shipping when ordering more than one. I will refund shipping overages (if applicable) when ordering multiple keychains or other items from my store! All of my products are made in a smoke-free home! 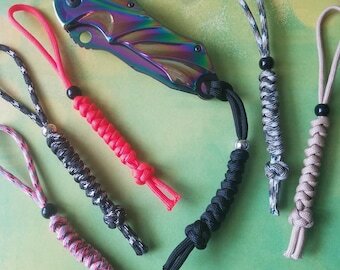 Snake Knot Paracord Knife Lanyard - 39 colors! 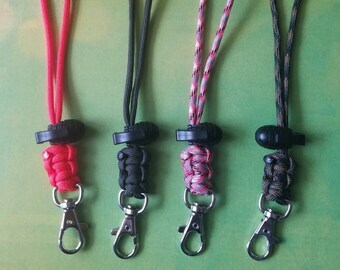 Wristlet Keychain with Grenade Lock - 33 colors! 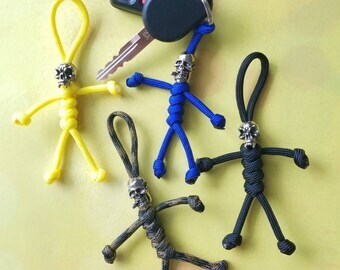 Skull Paracord Keychain - 33 colors! 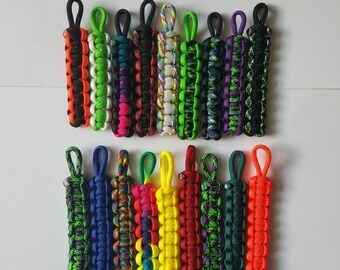 Paracord Key Fob - Choose from 39 colors! 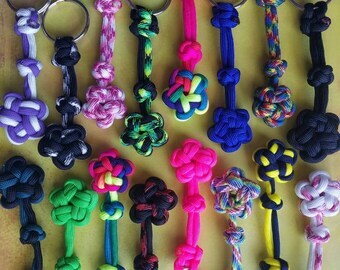 Small Monkey Fist Paracord Keychain - 39 colors! 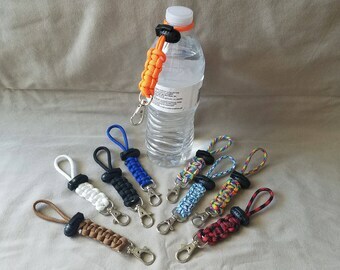 Paracord Water/Gatorade Bottle Holder - 39 colors!